Have you used AutoCAD Design Center to import styles and objects from other drawings? It is a very good tool. But today I stumbled to this program created by Lee Mac: Steal. 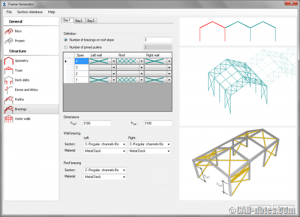 So what are AutoCAD objects and styles can be imported? Pretty cool, isn’t it? If you want to give it a try, you can download it from this thread on CAD Tutor. Lee created many great LISP program. If you want to take a look what he has done, go to this program page on his site. where does the program store the stolen info. once i type steal2 or steal all the program runs and then nothing really happens. i picked a drawing i want to use as a reference to take blocks from? 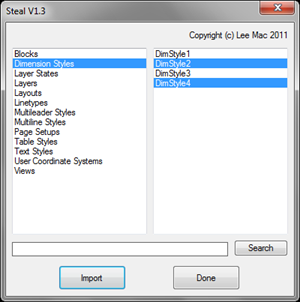 I have downloaded stealV1-3.lsp. But I don't know how to use. Please help me. You need to load the lisp application first. Type APPLOAD from command line, then choose the lisp file. After it's loaded, type STEAL in your command line to activate it. Thanks Edwin, I got it.